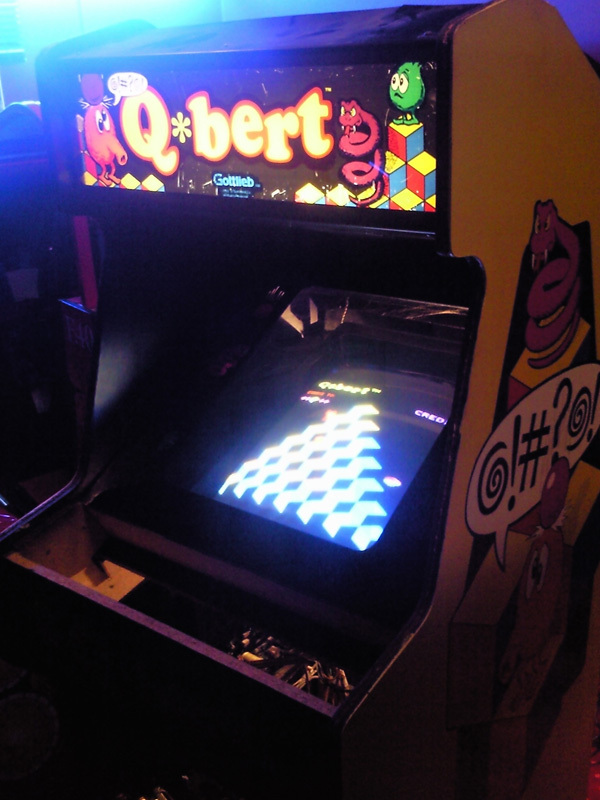 Ok, this cabinet was originally and looooong time ago ...a Q*Bert cabinet. 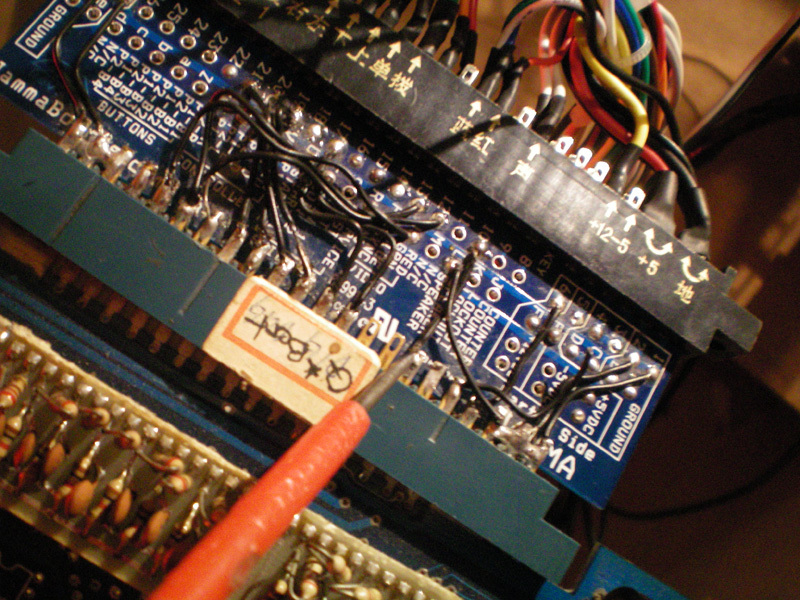 ...manufactured by DASCO, serial 1604. 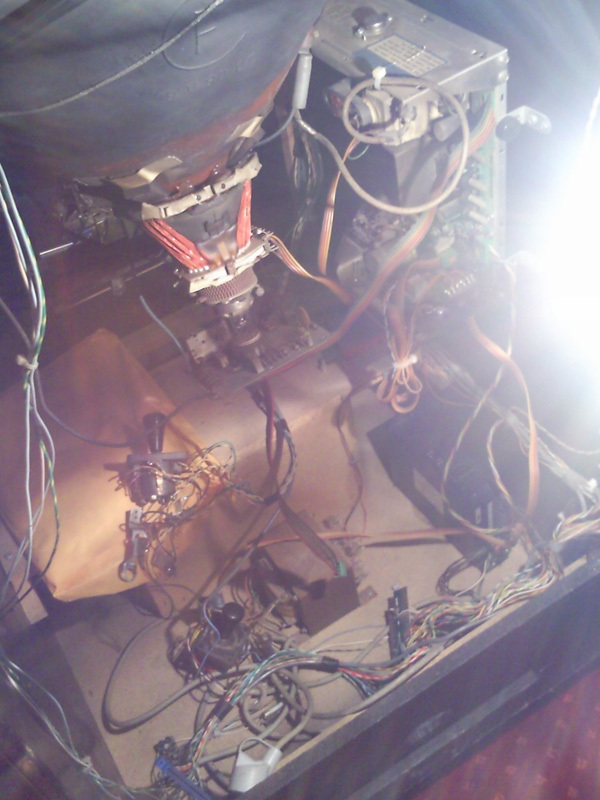 Ok, when the previous owner got this cabinet, it was already transformed into a jamma cabinet. 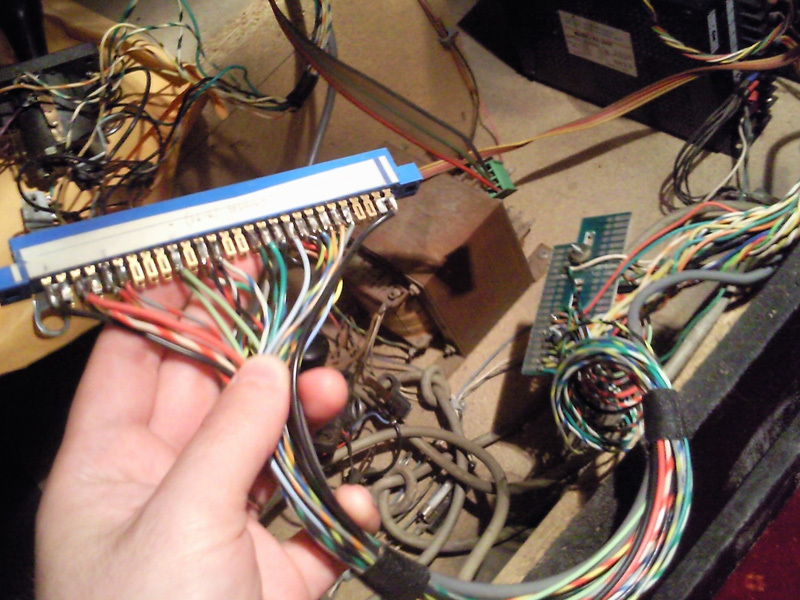 The original control panel wasn't present and he started to build a new control panel for Q*bert, but he didn't use the correct joystick orientation (and why these ugly holes?! 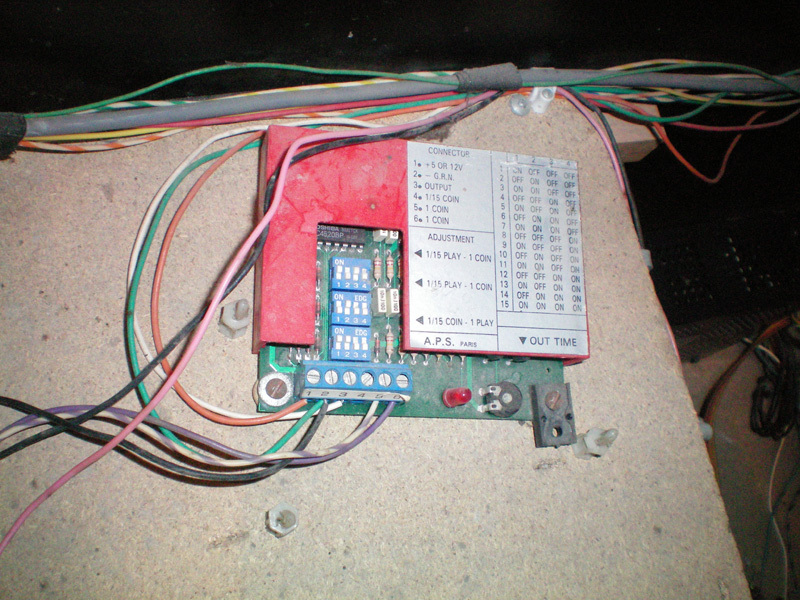 ), not the correct buttons, and the overlay wasn't good, so I got from US an original & complete Q*Panel (hhen I ordered it, I didn't know I have a euro cabinet). 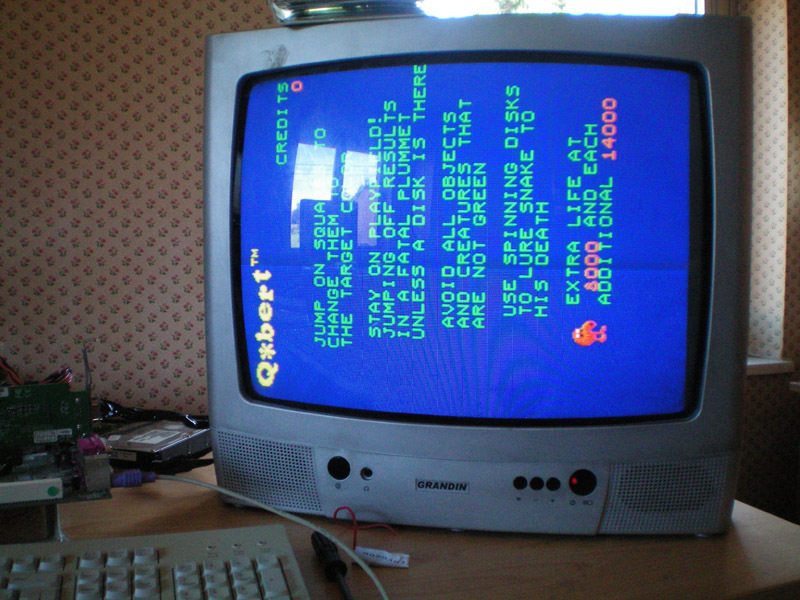 On top, the 'scratch build' control panel on my Q*Bert... see the difference size. 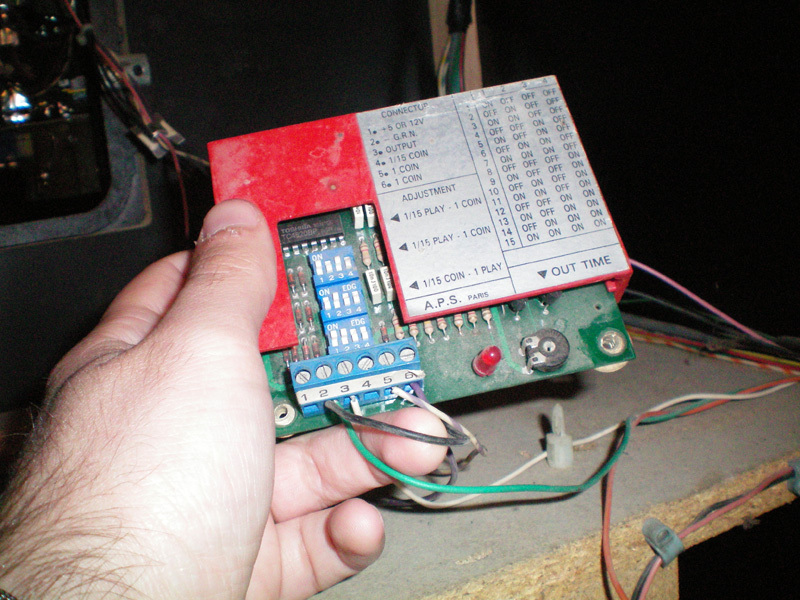 Ok, I'll have to do a other control panel! Now, here's an other difference ... the T-Molding size! Arghh... I cannot find this strange size on usual website shops. Any help on this? great, looking forward to the finished result! 16mm would be fine I guess. Do you know a place to order it? its 16mm from edge to edge when it bent like the pictures below.. 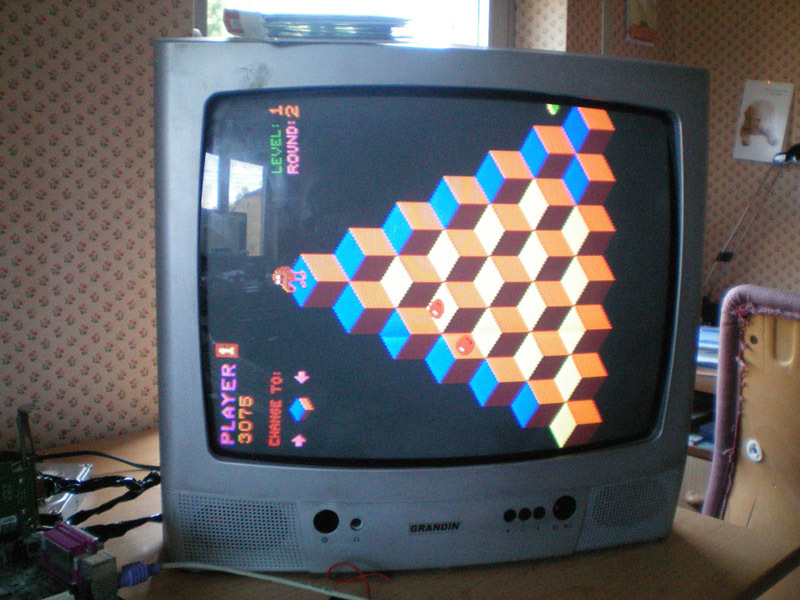 I talk with my friends and they remenber Q bert in arcade but not a dedicated cabinet ! But here it is !! 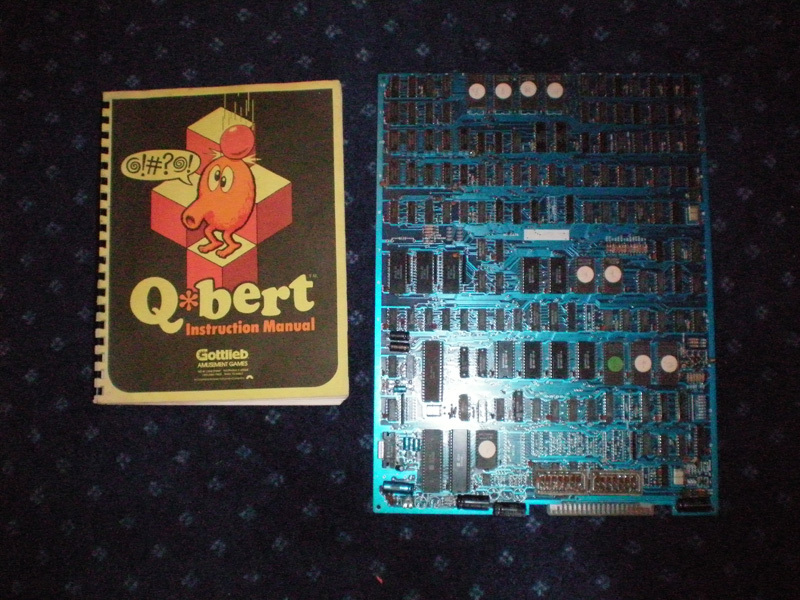 OK, now let's have a look at the Q*Bert boot pcb I got. What monitor is in there Bruno ? 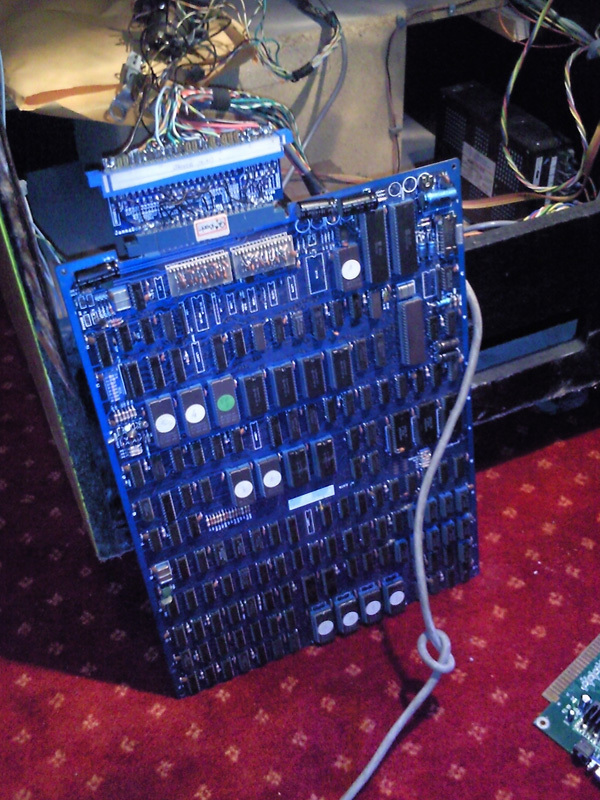 Putting in a brand new TV is certainly easier, but the Hantarex MTC-900 is a very good monitor if in working order. Nice Q-Bert anyway, congrats ! 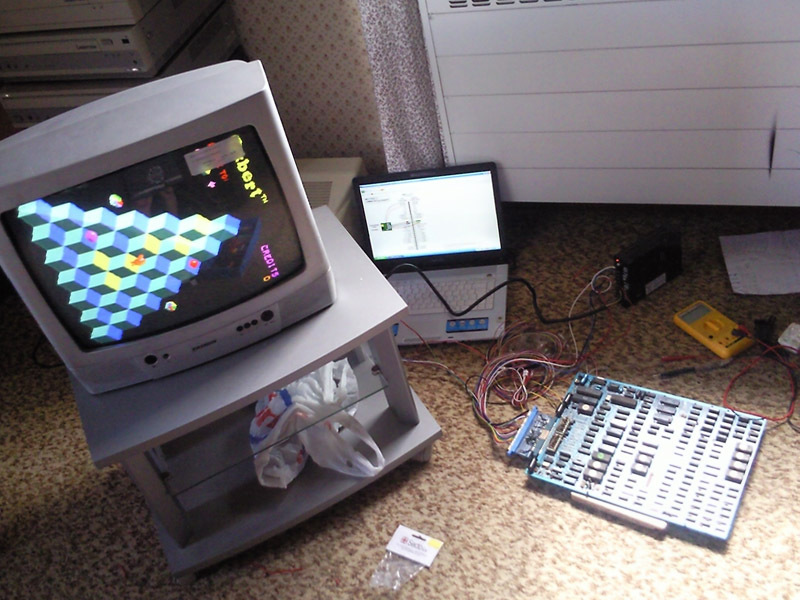 I'll go for a working CRT, via SCART connector, RGB signal of course. ...but not the board. The game freeze after few seconds, or simply don't pass the boot sequence. 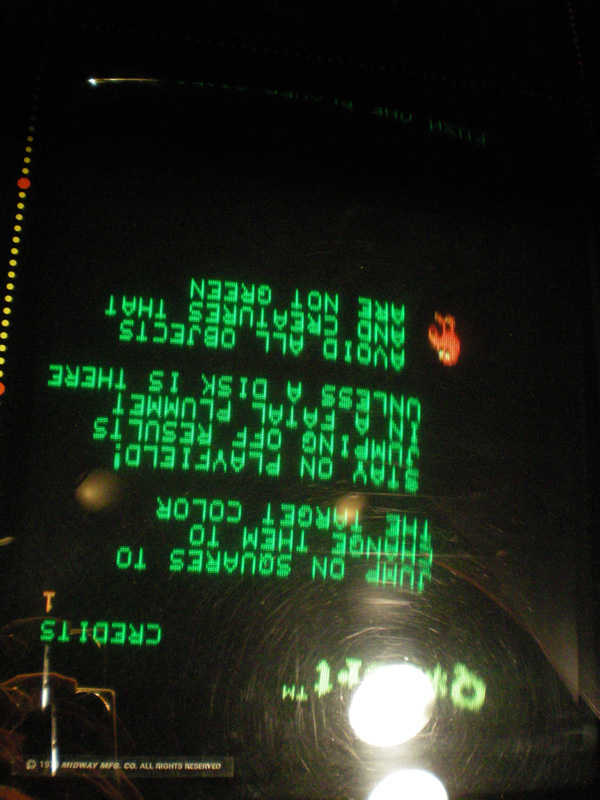 In addition, there is a display problem. 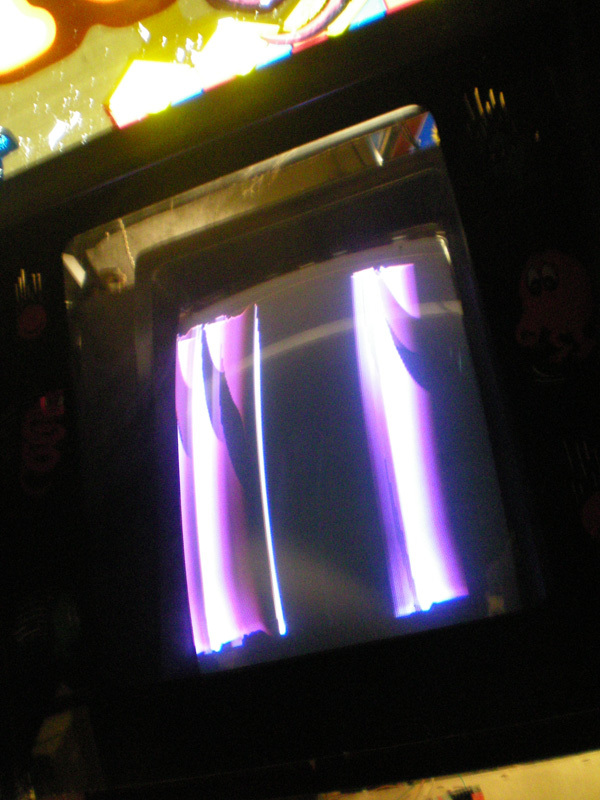 'odd' and 'even' lines on screen are slightly moving I suspected a too high voltage on the SCART pin 16 (too high because I'm sending 5V and I should send max 3V) but I've tried other jamma boards and I do not have this display problem. 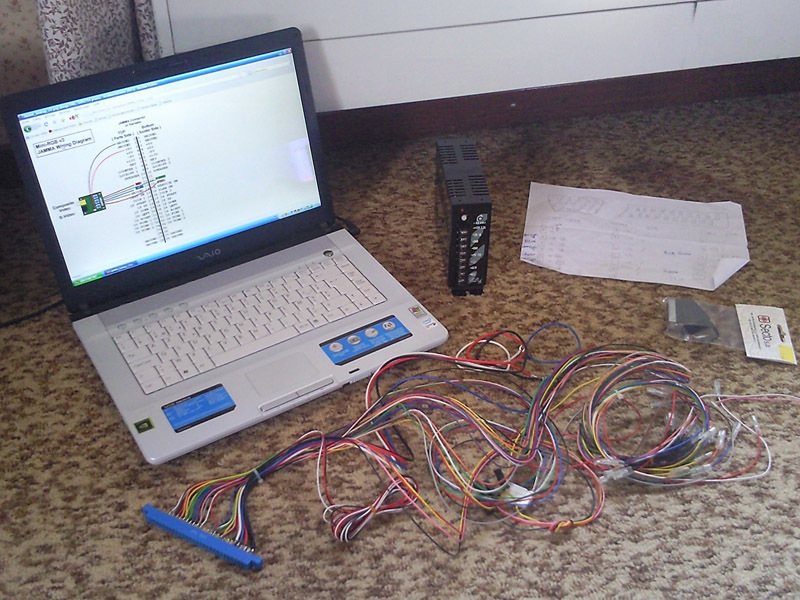 I've already check all the voltage, and they are all perfect (I'm using a brand new power supply). don´t know how it works in Belgium/Holland/Germany but in Denmark, i start at work on Monday the 4, of January. Yeah jan 4 for me too, but it's the first employer I work for that I have the company closed during the holidays. Great job for the adapter! 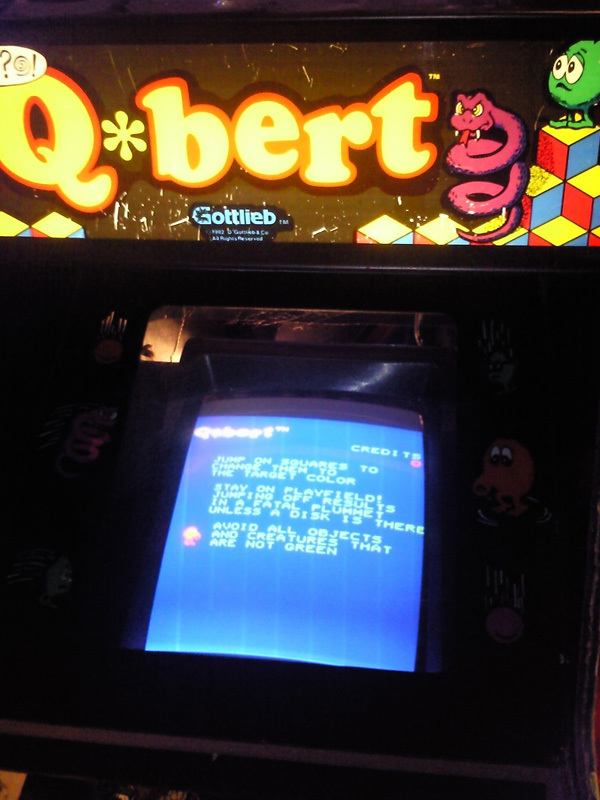 One question: this cab is not the orignal version of Qbert?